Nice comfortable bed and big bathtub with window that opens for fresh air! Great wifi with bus and taxi service at front door. 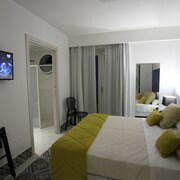 Close to port, bus terminal, stores and restaurants. Affordable with a great location! Where to find Bagnara Calabra hotels near an airport? Where can I find hotels in Bagnara Calabra that are near tourist attractions? Making a trip to Reggio di Calabria? 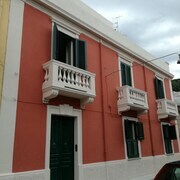 Are you looking to book a place to stay near to the downtown part of Bagnara Calabra? Bagnara Calabra offers 3 hotels within a 0.1-kilometre (0.06-mile) radius of the town center. Bagnara Calabra's downtown area is an easy walk from hotels including Grand Hotel Victoria and Palma D'Oro. 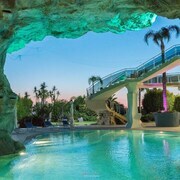 Check out the Altafiumara Resort & Spa or the Uliveto Principessa Park Hotel. The Altafiumara Resort & Spa is 13 kilometres (8 miles) away from the heart of Bagnara Calabra. 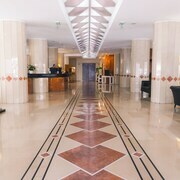 The Uliveto Principessa Park Hotel, is situated 20 kilometres (14 miles) away. 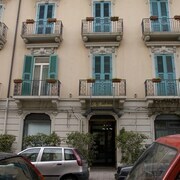 Alternatively you could book the Hotel Miramonti or the Town House Cavour. 40 kilometres (24 miles) from Bagnara Calabra is Taureana, which is home to the Locri Epizephiri National Archaeological Museum. 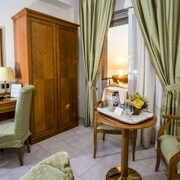 Locri features a range of good places to stay. Or, you can visit Taureana, 13 kilometres (8 miles) to the northeast of Bagnara Calabra. While in Taureana, visit the Summerland Palmi. Hotel options in Taureana include the Palace Hotel and Hotel Residence Arcobaleno. Before your Bagnara Calabra trip draws to a close, why not spend an afternoon rubbing shoulders with Reggio di Calabria sports enthusiasts at a local sporting fixture. You'll find Stadio San Filippo 30 kilometres (18 miles) to the southwest of Bagnara Calabra. 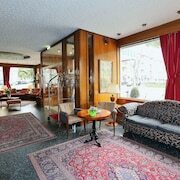 Book accommodation nearby to the action at the Hotel Royal Palace or the Europa Palace Hotel. Strait of Messina Airport is a convenient airport for accessing Bagnara Calabra. It is 25 kilometres (17 miles) away. If you would like to stay nearby, try the èHotel or Albanuova Hotel. What are the most popular Bagnara Calabra hotels? Are there hotels in other cities near Bagnara Calabra? 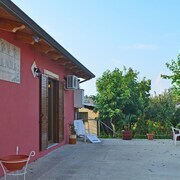 What other types of accommodations are available in Bagnara Calabra? Explore Bagnara Calabra with Expedia.ca’s Travel Guides to find the best flights, cars, holiday packages and more!